Alexander Wang, a self-proclaimed “survivalist” was arrested on Monday after being caught with a bag of weapons and fireworks inside Trump Tower. The 19-year-old was stopped by the Secret Service at a Security checkpoint and asked what was in his backpack. Wang willingly declared that inside his sack he had a large hunting knife, an M100 firecracker, handcuffs, a switchblade, a flashlight, an 8-foot-long black rope and a garrote. 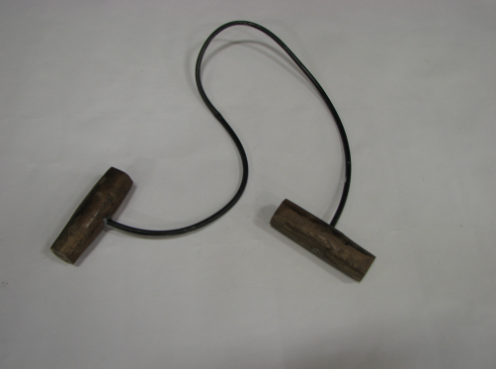 An example of a garrote, a weapon used to strangle somebody. Authorities did not disclose the material Wang’s garrote was made of. A student at Baruch College, Wang describes himself as a “survivalist” and told cops he is a Trump supporter who “always” carries weapons. Wang told authorities that he likes to use the lounge at Trump Tower as a place to study, and has been to the building more than 10 times with his sack of weapons since Trump was elected. Wang was arrested and charged with two counts of criminal possession in the fourth degree as well an an unlawful possession of fireworks. Wang has no prior record.